It is a simple concoction of vodka and orange juice. This simple but refreshing drink is always nice to have cocktail on a hot lazy summer day when you just don’t want to take a pain to fix up a proper cocktail. 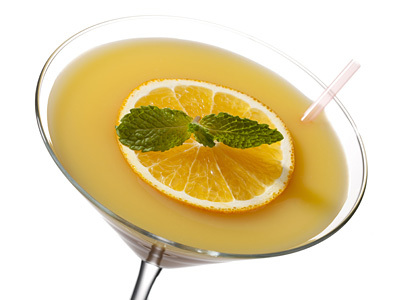 Learn how to make reinvigorating screwdriver cocktail with vodka and orange juice with this easy recipe. Take Highball or Collins glass and fill it with ice cubes. Pour vodka and orange juice over it and stir. Float orange wheel on the drinks surface and place a mint sprig over it as a garnish. Garnish rim of the glass with orange flavored bar sugar for enhanced orange taste and feeling. Standard measure of vodka and orange juice is 2 to 5. However, increase or decrease the ratio of vodka to make stronger or lighter respectively. Use fresh orange juice instead of canned one to lift up the flavor and taste. 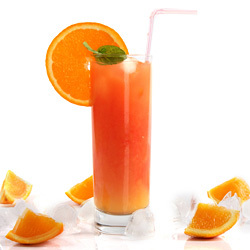 Serving Ideas: It is simple to make vitamin C rich cocktail. Treat yourself with this refreshing orange and vodka cocktail during hot summer evenings.